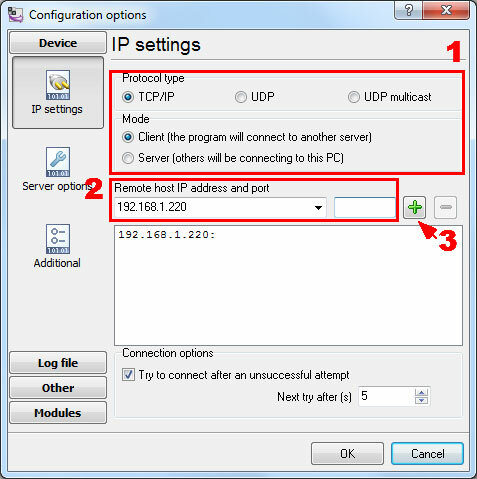 Note: You need to assign a static IP address to the PBX (for example, 192.168.1.220). 2. 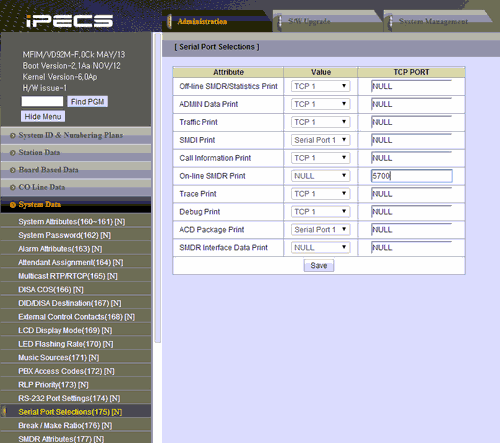 Enter the IP address and port of the IPECS [for example, 192.168.1.220:53000] in the address bar of your browser and press the "Enter" key. 3. You will get the administration console. 4. Log in as "System Administrator." 6. To enable "Caller ID" information in the call records produced by your LG iPECS, you need to set the "CLI Print To Serial" to "ON" on the "ISDN Line Data - ISDN attributes (200)" page. 7. Change the SMDR attributes as shown below. 8. Do not forget to save all changes. Our software should work in the TCP client mode. It means that our software will initiate connection with the PBX and the PBX will work as a server. 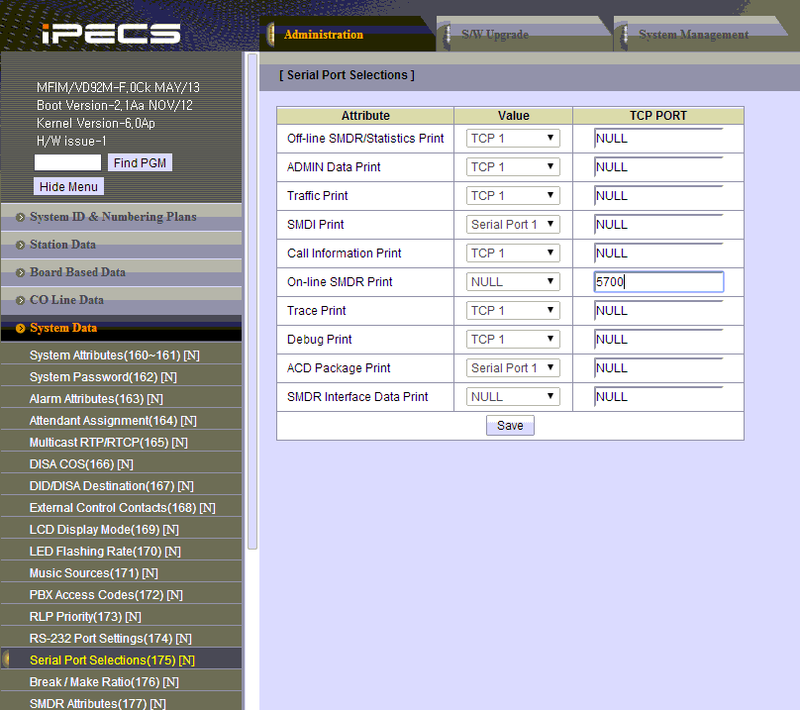 Add one or several PBX IP addresses here (the IP address of the LG Ericsson IPECS). 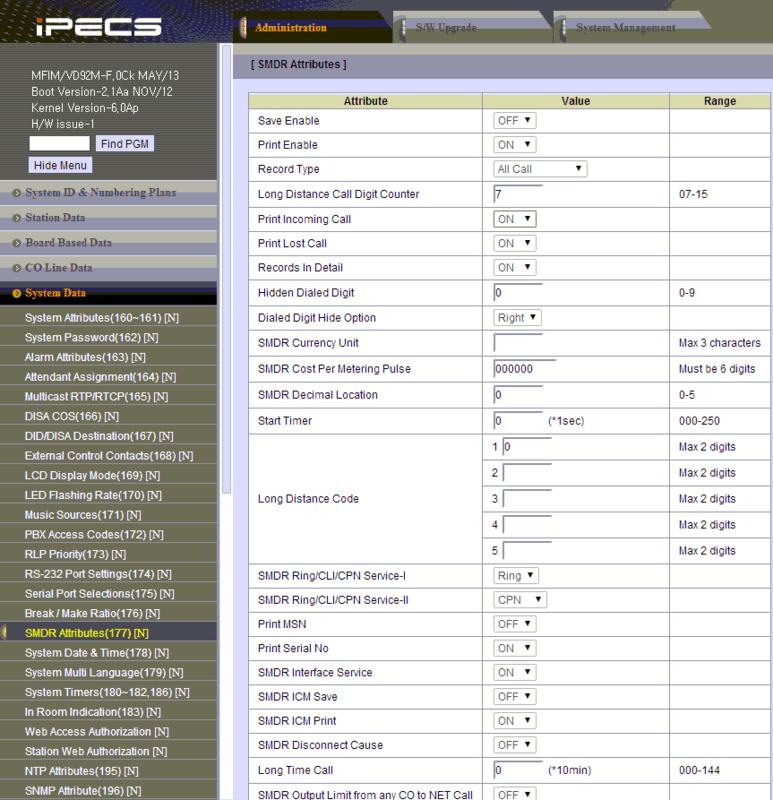 The port number should match the port that you have defined within the PBX (5700 in the example below).